Left facing. Right facing. Big mouth bass or small. 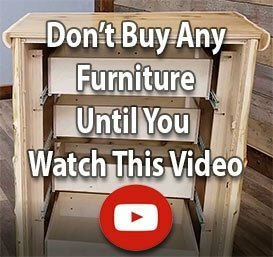 No matter which Bucksnort cabinet knobs or pulls wind up being the best fit for your log furniture or rustic furniture needs, you’ll be lured in by their unique design. But, you should also know that each piece is made of zinc, plated in up to five different finishes and treated to a baked-on, clear lacquer top coat that ensures lasting wear. Check out these “fly” accessories designed with your favorite trout fishermen in mind. We’re not ones to boast, but even we have to admit that our fish cabinet hardware can be pretty “fly” – especially the pieces designed to make country decorating with cottage furniture and cabin decor easier on you and more exciting for the trout fishermen in your life! Related options include 2” long trout pulls, jumping trout knobs and your choice of round or oval trout fly knobs. Where can you find ocean-themed knobs for your wood furniture cabinets? At Woodland Creek’s! There’s more than one fish in the proverbial sea – and Woodland Creek’s carries a full range of rustic decor cabinet hardware sure to reel in the attention of more than one fisherman! Those partial to salt water will truly appreciate these rustic decorating selections: Country decor drawer and cabinet knobs featuring the mighty whale or knobs fashioned after his first mate, the mahi mahi.